A population often experienced by the rigors of winter then puts on a snow festival to warm the hearts. Interrupted by the two world wars and the great economic crisis of 1929, the Carnival re-emerged sporadically until the second half of the century. In 1954, in a perspective of economic development of the Old Capital, a group of business people revived the party and chose Bonhomme as representative of the event. The first edition of the Quebec Winter Carnival took place in 1955. The Carnival became a must-attend event for the people of Quebec City and the driving force behind the winter tourist activity in the city. Today, the Quebec Winter Carnival is undeniably a major winter event and remains a driving force in Quebec’s winter life. As the 65th edition neared, the Quebec Winter Carnival prepared for the next step of its development through an orientation exercise under the guidance of Mr. Daniel Gélinas. The Carnival organization strongly believes this fundamental effort will support the evolution of our event. This new vision centers around three axes: creating a program based on major events, fostering community partnerships to promote associated activities, and optimizing visibility of the Carnival within Quebec City. The 2019 Carnival is already taking its first steps down this exciting new path. We’re condensing our activities over 10 days, updating classics like the Ice Palace and the Parades and propping up associated activities all over town. 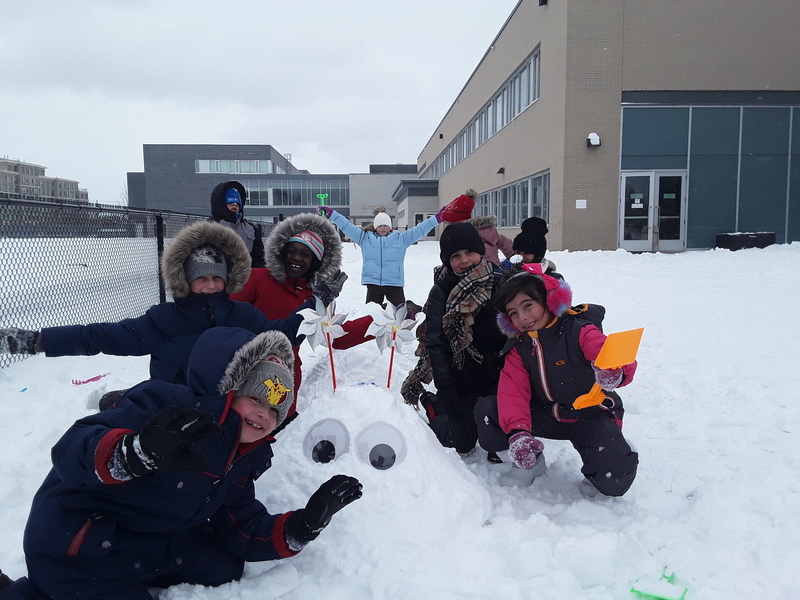 Come take a look—Bonhomme is expecting you! This remarkably well-preserved ankylosaur was recently identified by ROM paleontologists as a new species, and now they can’t help but wonder: what was life like for Zuul? Seventy-six million years ago this 6-metre-long, 2.5-ton, plant-eating ankylosaur, covered in body armour from its head down to its menacing tail club, roamed the Earth. Today, Zuul is one of the most complete skeletons of its kind ever found. While its body armour and spiked tail club tell an evolutionary story of protection and survival against threatening predators, the fossilized plants and animals – including turtles, crocodiles, and leaves that were also found with Zuul – shed new light on the Cretaceous environment it inhabited. Zuul: Life of an Armoured Dinosaur takes you on a hands-on, interactive journey into Zuul’s world; from its discovery in 2014 and the fascinating research being done to further our understanding of these powerful animals, to Zuul’s life in the lush Cretaceous period 76 million years ago, where its body armour and tail club were crucial for defence. As part of the Grade 5/6 Financial Literacy program, the students created their own companies and designed a product to market and produce for profit. 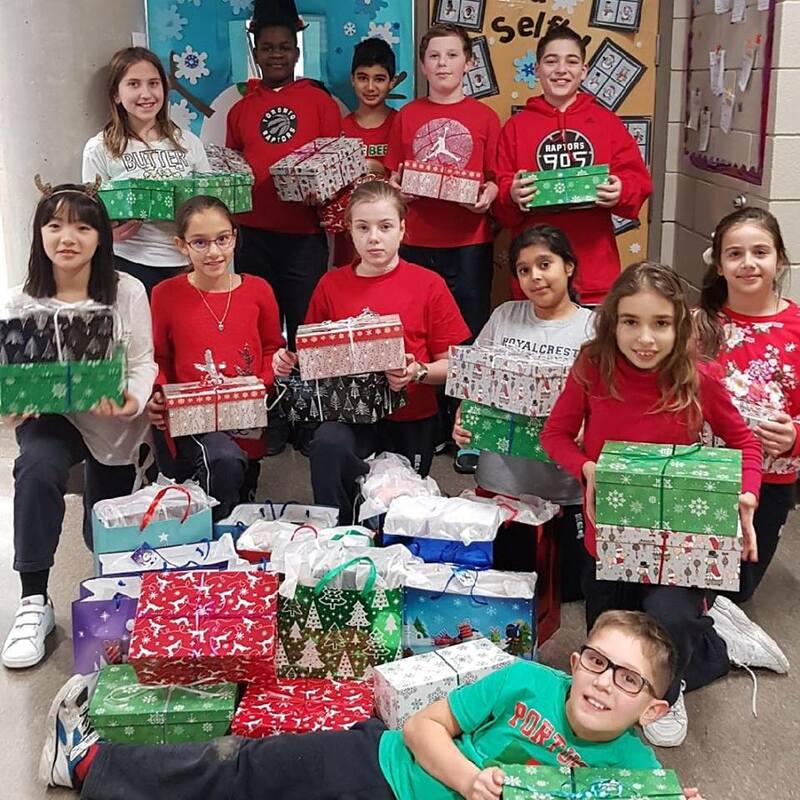 Amazingly, the class raised over $720, all of which was used to buy and fill 18 holiday boxes which were donated to the charity Yellow Brick House. Each box also included a Walmart gift card. The students were delighted with their success! Right now, and every single day, there are families here rebuilding their lives. Every woman’s story with Yellow Brick House begins with the courage to leave a dangerous—even deadly—home. They share stories of terror, despair, and tears. But the real story of Yellow Brick House is about empowering women and children to rebuild their lives and we give a voice to the untold stories of violence in our community, raising awareness about the need for change, and moving our community forward to end of violence against women and kids. Every day, we are operating at capacity. And, while heartbreaking, we cannot accommodate hundreds of families every year.